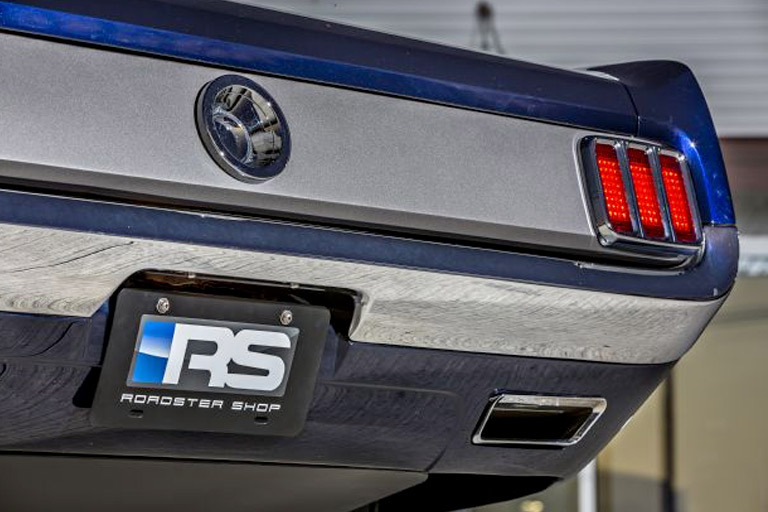 This 1965 Ford Mustang was a father and son project combined with help from the team at Roadster Shop. 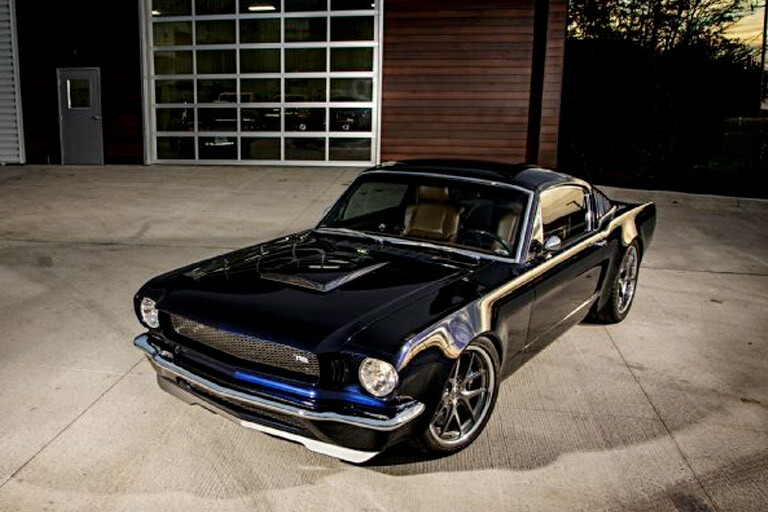 Joel and his father brought this beautiful mustang to life all whilst living over 1,000 miles apart from each other. You see, Joel lived in California while his retired father lived up in Oregon. 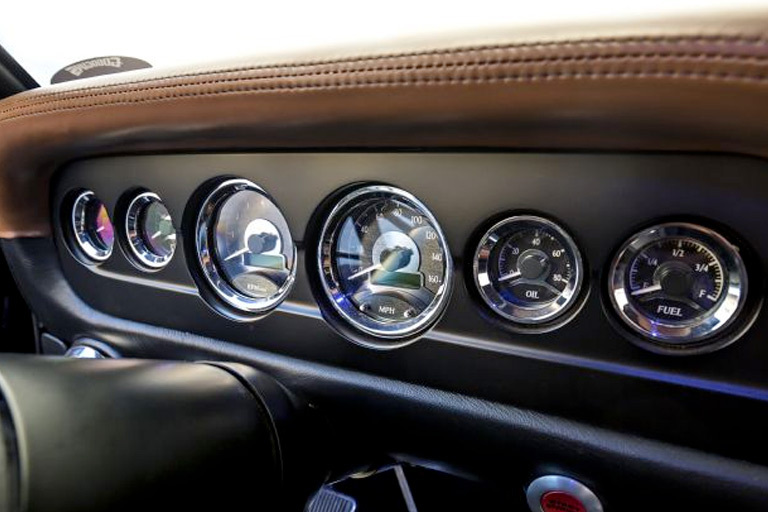 But the distance didn’t stop their love of Fords nor their desire to build a sweet Mustang. Joel’s father procured a running 1965 fastback up in the Pacific Northwest and shipped it down to Joel in Cali. 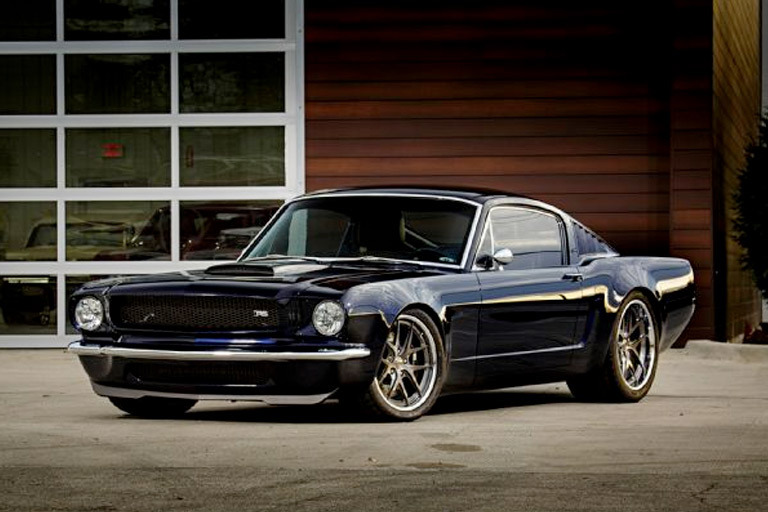 What came of all the hard work is the award winning 1965 Ford Mustang you see here now. 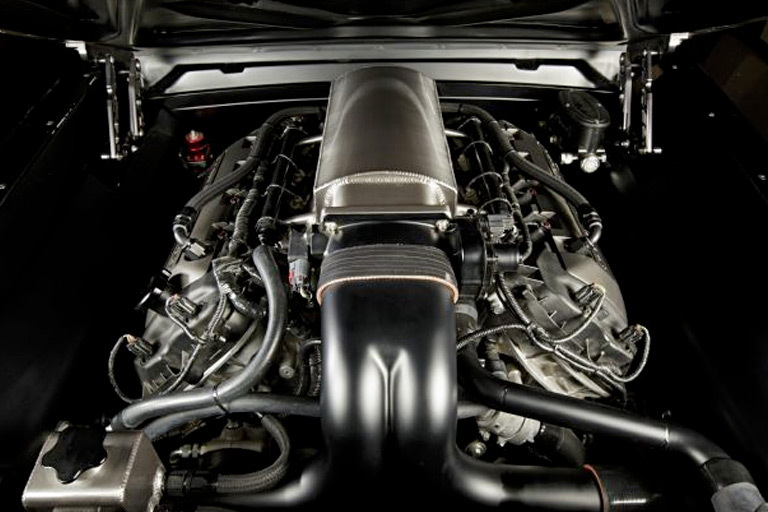 Under the hood is a Ford Performance Coyote Aluminator XS cranking out 500 naturally aspirated horsepower. 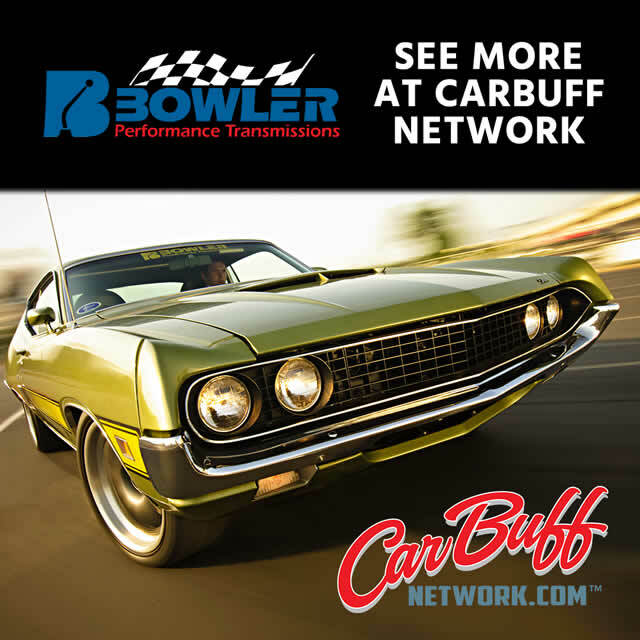 Backing the engine is a Bowler Performance T-56 Magnum 6-speed transmission with a Centerforce DYAD clutch and pressure plate kit. 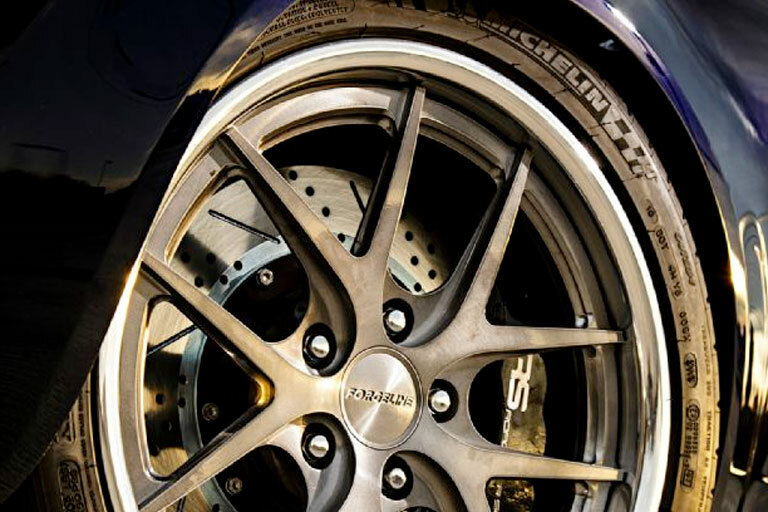 Wheels are Forgelines wrapped in Michelin P335/30R19 in front and P265/35R18s in back. 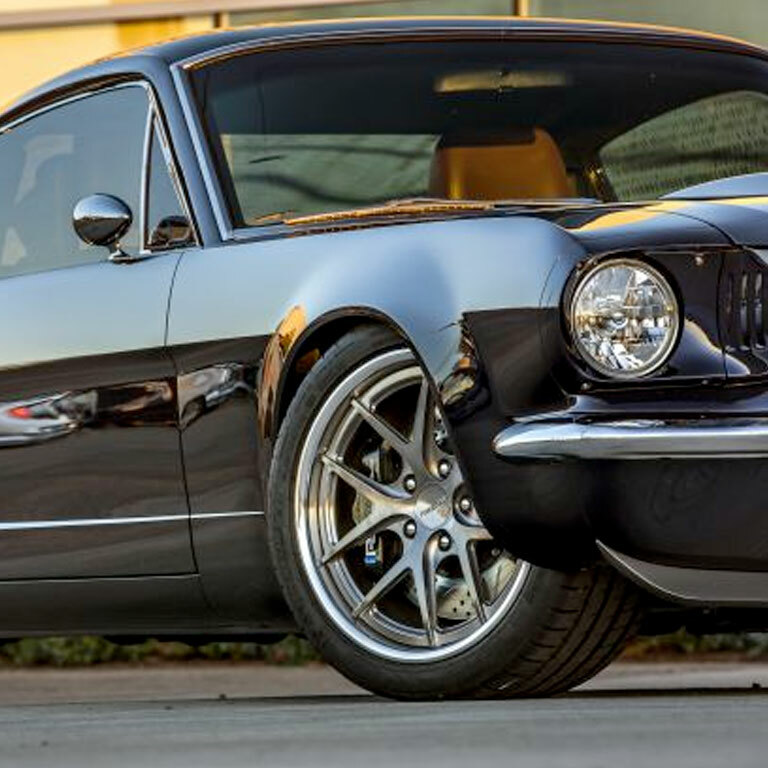 Bringing this ride to a halt are Baer Pro+ 14-inch brakes with Roadster Shop calipers. 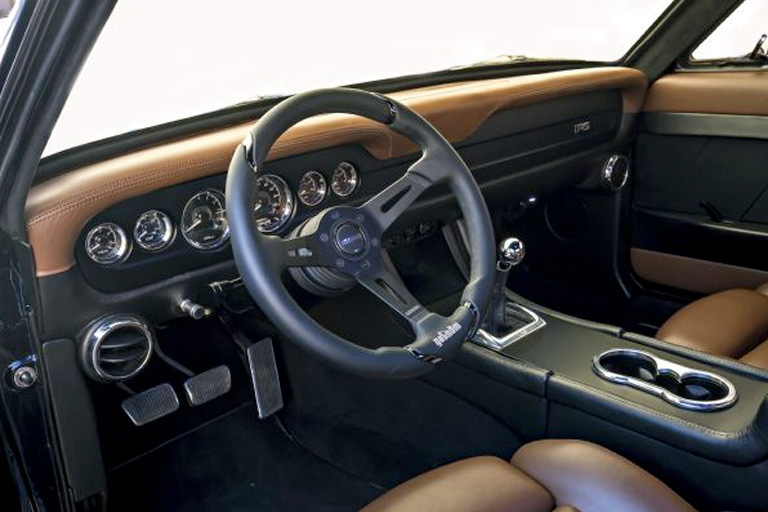 For the interior, the Mustang was shipped back to Joel where he worked with Ron Mangus Interiors to bring the inside of the car to life. 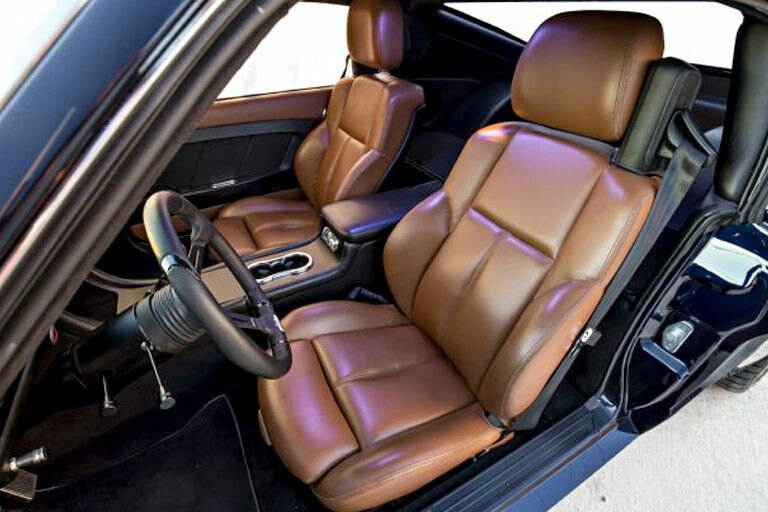 They implemented recovered BMW M6 bucket seats, a custom leather wrapped dash, a Dakota Digital VHX gauge system, a custom console, and much more. This 1965 Ford Mustang earned a Top 5 Award in the “Street Machine of the Year” category at the 2015 Goodguys PPG Nationals.